I got SpaceEngine recently, and got the hang of using it really quickly. It's really awesome, but it's missing something with the other stars. I noticed one thing about the procedurally generated/cataloged stars, and that is, they don't generate comets and dwarf planets. The only star that has these in-game is our sun. 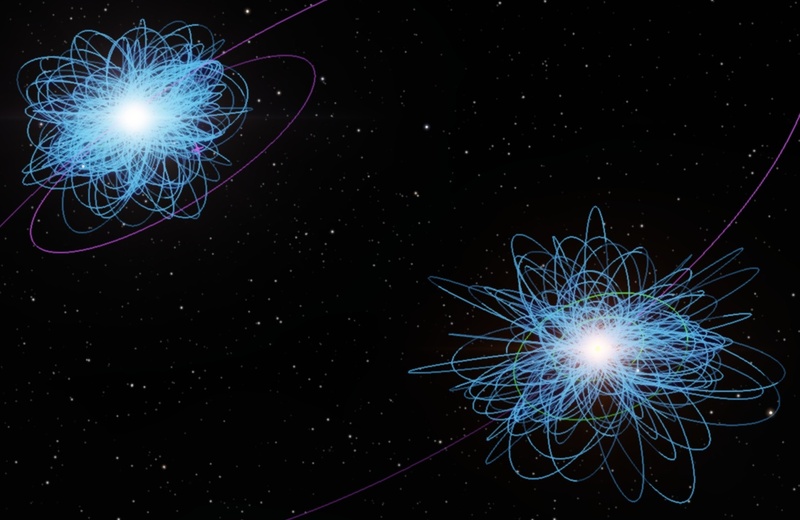 I don't expect to see this in the near future, but I think it'd be a good idea to add dwarf planet objects (Some like kuiper belt/scattered disk objects but stuff that deviates from these would be cool! ), as well as comets. In advance, I look forward to any and all replies. Both already exist for other stars. I noticed one thing about the procedurally generated/cataloged stars, and that is, they don't generate comets and dwarf planets. Yes they do. To find dwarf planets and comets open the Universe map (on the left) while in a planetary system and you will see a schematic view of the planet system. 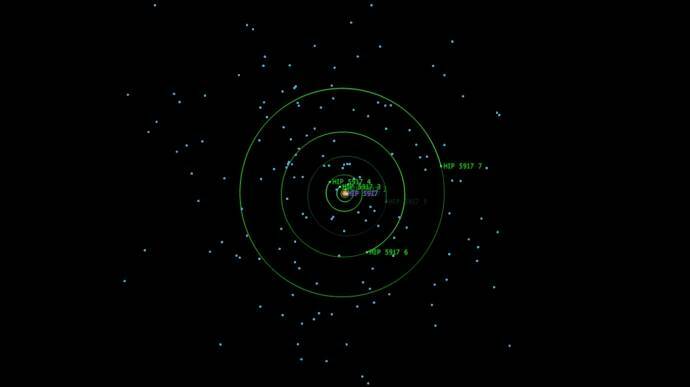 The blue dots you see are comets and asteroids and the objects with dark green orbits are dwarf planets. Oh, thanks so much. I had no clue! Although I don't get why the orbits aren't shown outside of the map when I have the game set to display orbits of dwarf planets & comets. Are you sure you're actually looking at stars that have comets and/or dwarf planets? Because not all do. Hmph, guess I was looking at some without dwarf planets / comets. Surprised some don't have these tiny objects, since they're extremely abundant at some stars.